Our work is made possible in part through memberships and contributions from key stakeholders. We invite organizations involved in phosphorus sustainability to contact us and join our alliance of members. The membership is open to all organizations that support our mission, including those in phosphates, biomaterials recycling, water & wastewater treatment, animal agriculture, crop agriculture, and the food & beverage supply chain. Priority exposure in the Phosphorus Forum, an annual stakeholder meeting centered on phosphorus sustainability (includes one free ticket). Phosphorus Forum presentations are re-broadcast on YouTube for even wider visibility. Visibility as a thought leader in your industry through presentations in our Sustainable Phosphorus Webinar Series and our Phosphorus Science Now Network. Our webinars are re-broadcast on YouTube for even wider visibility. Unrestricted access to working groups that tackle technical, legislative, institutional and societal hurdles to implementing phosphorus management innovations. International recognition among regulators, investors, and the public as a leader in phosphorus sustainability via logo placement and mentions through online and in-person outlets (e.g. social media, conference talks). Interaction and knowledge sharing with like-minded organizations from across the phosphorus value chain, including through participation on our Board of Directors, if elected. 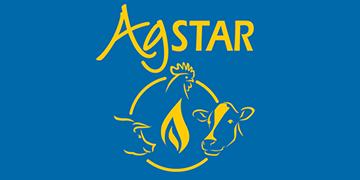 Our staff participates in a number of industry working groups and can help introduce your ideas. Discounts to events hosted by partnering organizations. The organizations below are the founding and current members that have supported our mission of being North America’s central forum and advocate for the sustainable use, recovery, and recycling of phosphorus in the food system. OCP is integrated across the entire phosphate value chain, extracting, marketing and selling phosphate and its derivatives, phosphoric acid and fertilizers. OCP is the world’s largest exporter of phosphate rock and phosphoric acid, as well as one of the world’s largest producers of fertilizer. 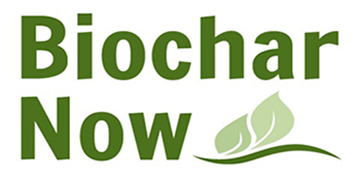 Biochar Now is a pioneer in the biochar industry with strong engineering, manufacturing, sales and administrative personnel focused on making and selling quality biochar on a very large scale. 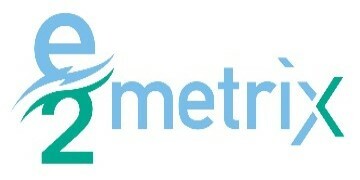 E2Metrix has developed a unique technology solution for the treatment of municipal and industrial water and wastewater streams to advanced tertiary quality levels. Leveraging its proprietary ECOTHOR™ electrotechnology platform and deep-domain expertise, E2Metrix delivers reliable, effective and affordable solution for the reduction or elimination of targeted pollutants and micro-contaminants. GreenTechnologies creates environmentally sound lawn and landscape solutions for personal, commercial and public interests. The company develops products from renewable resources for advancement of nutrient recycling and improving environmental quality. NACWA is the nation’s recognized leader in legislative, regulatory and legal clean water advocacy – helping ensure a strong, sustainable clean water future. Ostara Nutrient Recovery Technologies Inc. helps protect precious water resources by changing the way cities around the world manage nutrients in water streams, and by producing a fertilizer that significantly reduces the risk of leaching and runoff further protecting local waterways from nutrient rich water. Renewable Nutrients is rethinking phosphorus with Quick Wash®, a proprietary system that draws on exclusive technology to extract and recover 95% or more of the phosphorus found in biosolids. Quick Wash is equally effective at treating municipal and industrial waste streams as it is at treating agricultural streams. TWRF is a nonprofit, charitable and educational organization which funds, manages, and publishes research on the technology, operation, and management of drinking water, wastewater, reuse, and stormwater collection, treatment and supply systems—all in pursuit of ensuring water quality and improving water services to the public. NEBRA is a non-profit professional association advancing the environmentally sound and publicly supported recycling of biosolids and other organic residuals in New England, New York, and eastern Canada.